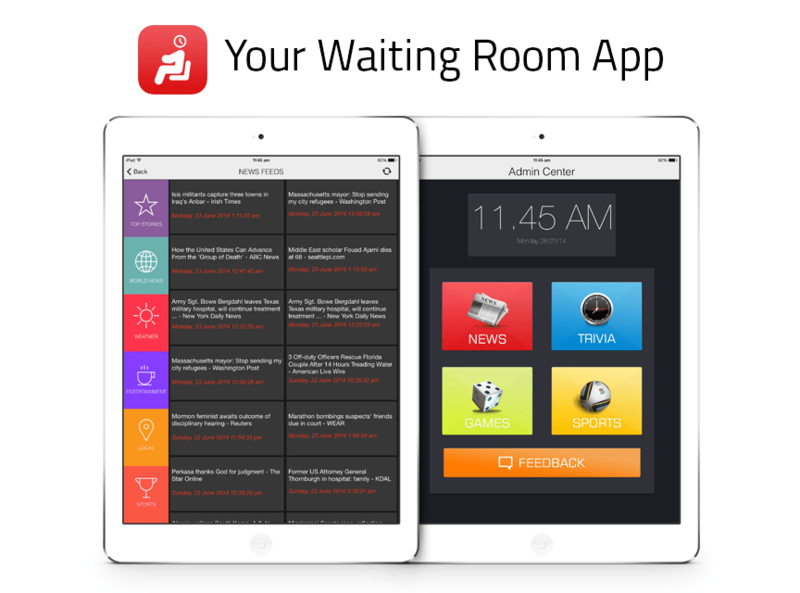 Waiting Room app offers news, games, quizzes and other diversions that will make the waiting time fly by. Research shows that a well-designed app can improve the overall perception of a health care service and may optimize care delivery processes. Also, the patient can provide feedback about the health care service using the feedback module.